Actually yawning? Probably not. 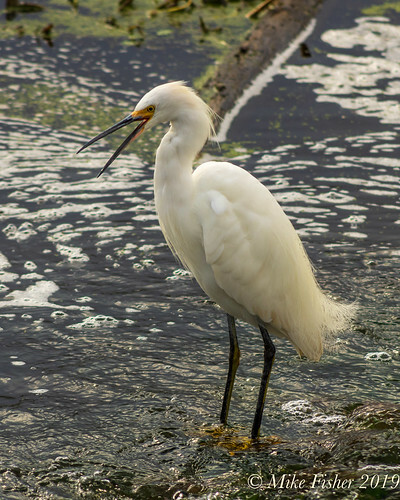 A snowy egret hunts in the shallow waters flowing over the spillway in Brazos Bend State Park.